Who Needs a Home Builders License? The Board provides notification to building officials upon the suspension or revocation of a residential home builders license. If the building official posts a stop work order because the builder does not hold a residential home builders license issued by the Board, the building official must notify the Board. To report an unlicensed builder, call the Builder Watch Hotline at (800) 304-0853 or complete a Unlicensed Builder Tip sheet for building officials. 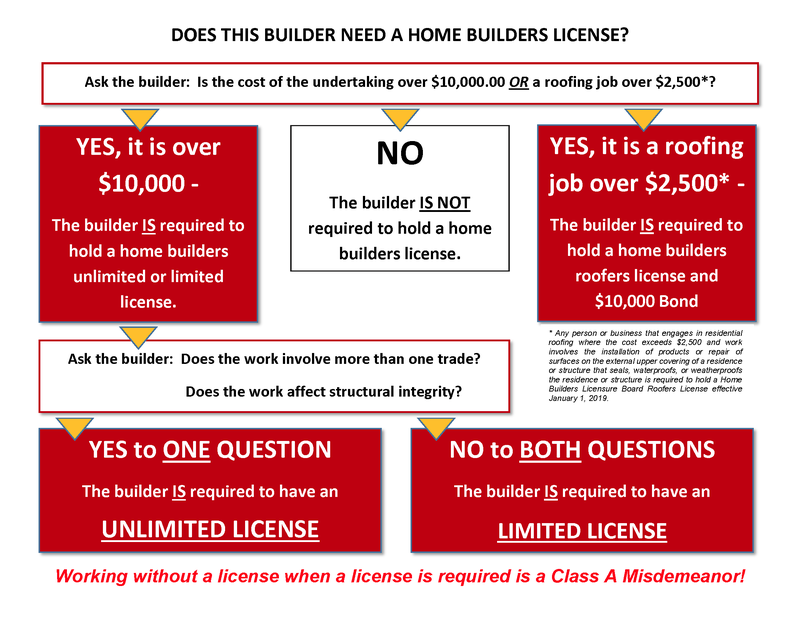 To report a licensee in violation of Home Builder Law, call the Builder Watch Hotline at (800) 304-0853.